Buy 1 - 2 for $59.75 ea. Buy 3+ for $54.75 ea. 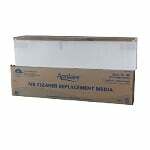 The Aprilaire 1213 upgrade kit is designed for use with the Aprilaire 2200 and 2120 air cleaners, and allows owners to upgrade their MERV 10 Aprilaire 201 filter to the more efficient MERV 13 Aprilaire 213 Filter. 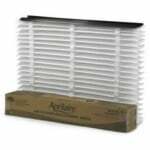 The Aprilaire upgrade kit improves air cleaning performance by 65 percent and reduces almost twice as many contaminants. 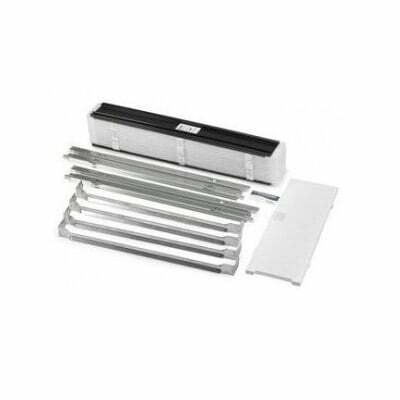 This Upgrade Kit features a snap-together frame and an inner housing to accommodate the new Aprilaire 213 Filter and eliminates the need for pleat spacers. 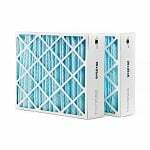 The MERV 13 Aprilaire 213 Filter Replacement captures pollen and mold spores (up to 90%), dust (up to 90%), fungi, pet dander and other airborne allergens from your air. This MERV 13 filter also captures bacteria and virus carrying particles (75%) that a MERV 10 filter cannot.